Introduction: Gustavo Coll, who has many years of experience in the cable industry in Uruguay. sends this article on repairing cables under less than ideal circumstances, using only the resources available locally. Gustavo’s own excellent telegraph history website is well worth visiting. I joined Western Telegraph Co. in Montevideo in 1956 as an apprentice, and attended the Porthcurno Engineering College U.K. (Cable Telegraphy) in 1957/1958 for 18 months. 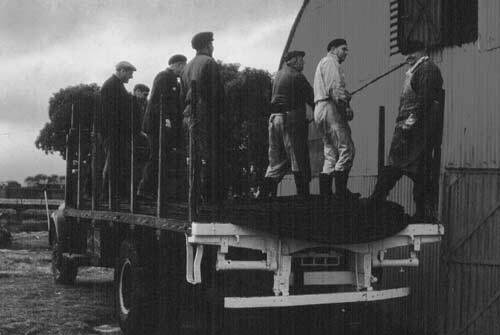 On returning to Uruguay I worked as Assistant Engineer, and my experience on Local Repairs was gained while assisting the English staff in many repairs. I took charge of Local Repairs when promoted to Engineer within the Branch in the late sixties. Repairs covered the cables of the Company from Punta Lara in the Argentine to Maldonado in Uruguay but on one occasion I was asked to repair Italcable’s Montevideo - Rio de Janeiro cable (1100 nautical miles). As cable repair was not a full time job, most of the time I was looking after the telegraph circuits between Buenos Aires and Rio de Janeiro. 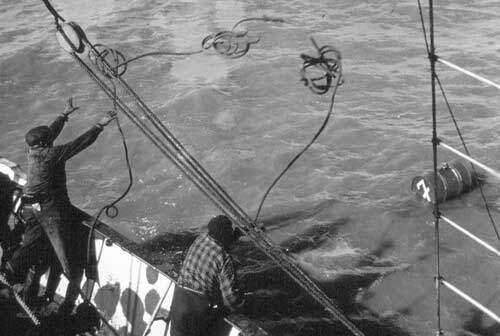 It happened more than once that a cable would be interrupted while I was on duty, and one of my jobs was to take the necessary tests to ascertain the nature of the fault and localise it in terms of electrical units and nautical miles. If, afterwards, when trying to pick up the cable the fault was not where I thought it would be, a very red faced technician would have been the result! 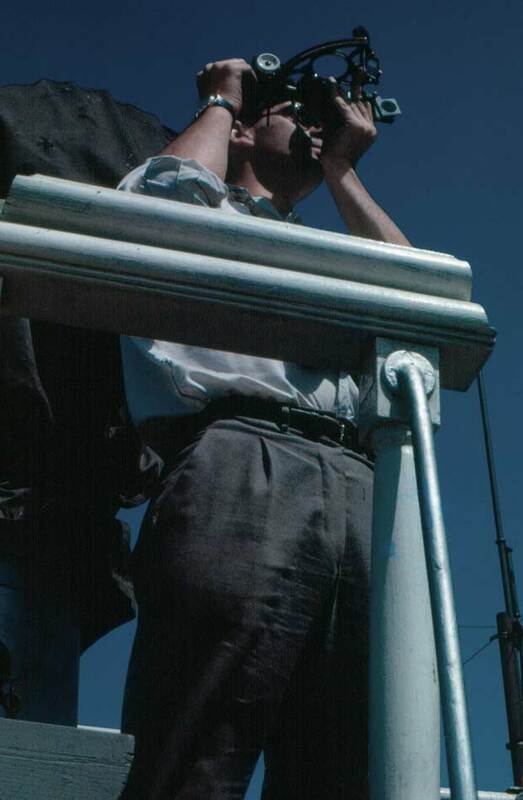 On returning to base, a most detailed report had to be prepared which included all the manoeuvres made, results of tests, position on the charts, depth and temperature of water, etc. to be sent to Head Office and to the cable ships in the area. When I was promoted to Manager of the Branch in 1972, there was only one cable circuit to Rio de Janeiro which was shortly abandoned, and a satellite link with London was used instead. 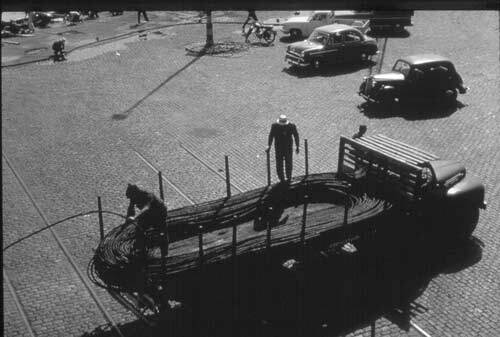 The photographs below, taken by Michael Yates in the 1960s, show “Local Repairs” of the submarine cables in the River Plate Area owned by the Western Telegraph Company (division of Cable & Wireless). 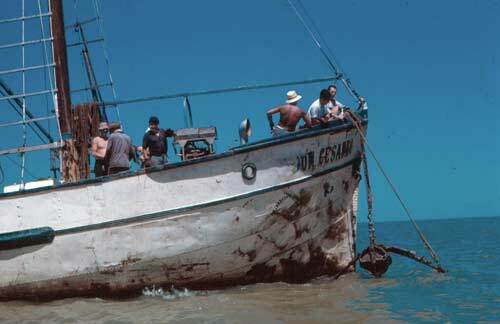 Not many stations of Cable and Wireless were capable of carrying out local repairs unless in extreme circumstances, the other exception being Cienfuegos in Cuba, but from the origins of submarine telegraphy in this area (a cable linking Argentina and Uruguay in 1866) it was obvious that repairs had to be done locally. There was no expertise in South America at that time and having to wait for a cable ship (of sorts) to arrive from Europe simply was not practical. This situation made it necessary to develop locally the required knowledge, and for convenience, Montevideo, which had quite a lot of seamanship experience, was the base from where local repairs were made. The first Superintendent (and Engineer) of the River Plate Telegraph Co. (owner of the Colonia - Punta Lara cable, laid in 1866) was an Englishman named John Oldham. He had many years of experience in the telegraph and cable industry in Britain, and arrived in Uruguay in February 1866, where he erected the landlines between Montevideo and Colonia, about 120 miles, in difficult terrain and times. In October 1866 he supervised the laying of the cable across the River Plate (see link above). Around 1874, Oldham was decorated with the insignia of the Chevalier of the Order of the Rose by Dom Pedro, the then-Emperor of Brazil, for his services in developing the telegraph in this part of the world. He was a member of the Institution of Electrical Engineers (London) from 1881, acting as its Honorary Secretary and Treasurer in Uruguay. 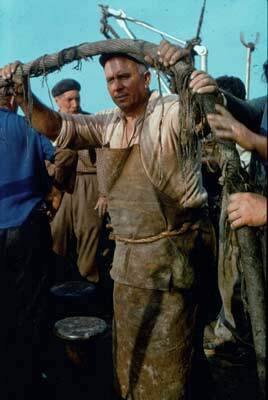 No doubt his technical knowledge was instrumental in training the local workforce how to handle a submarine cable. The electrical tests were carried out by European staff well into the 1960’s. The tugs or similar craft were manned by their normal crew, to which about 12 members of a cable gang were added. 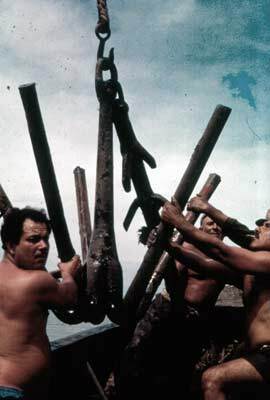 This gang had the responsibility of handling the cable, that is; storage, grappling, picking up and laying out. 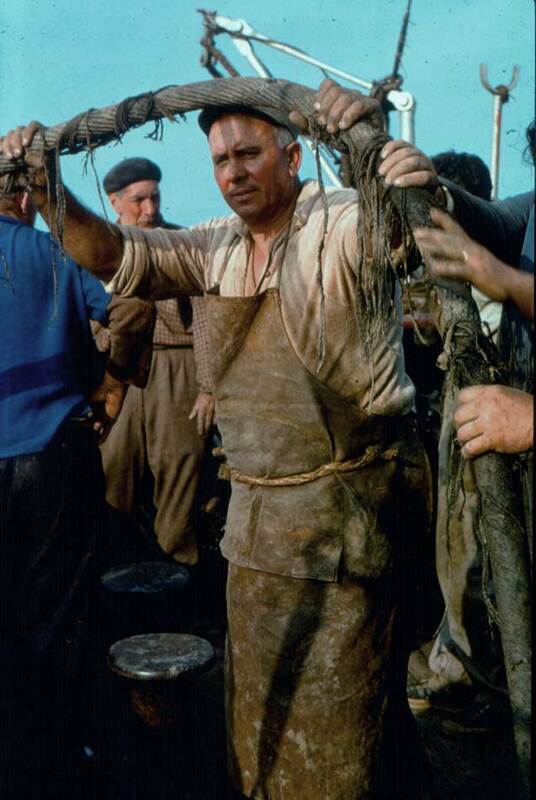 They were mainly stevedores from the Montevideo port, with the exception of the foreman and a few other members, who really had the experience and know-how, acquired after many years of service. Nevertheless, none of them were permanent members of the Western Telegraph Co. 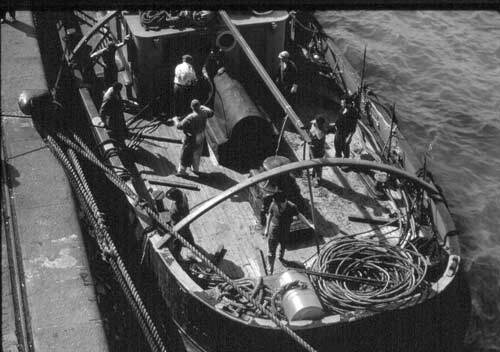 The decision of what to do, where and when laid squarely on the shoulders of a technician from the company (normally the Deputy Engineer of the branch); his assistant liaised with the gang, kept a log of barrels, their position, results of tests, etc and acted as a jointer. 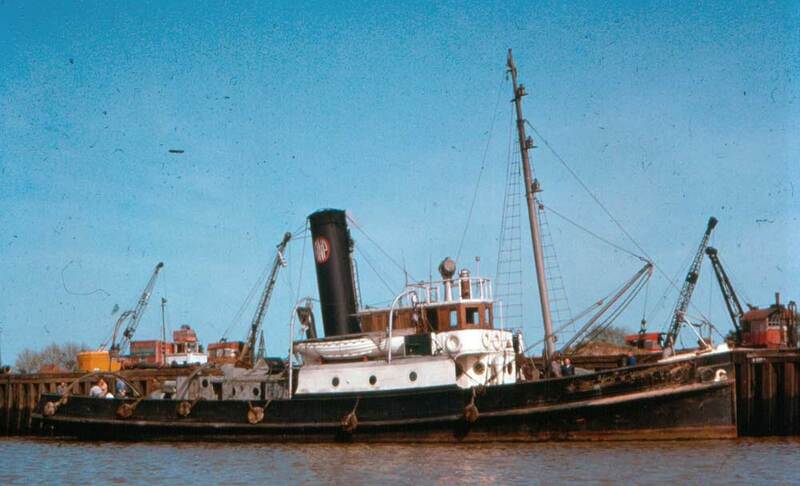 The very sea-worthy tug “POWERFUL” owned by the Uruguayan Port Authority (ANP). Built in the U.K. and powered by an oil-fired steam engine (originally coal powered). Used in many local repairs in the River Plate area, presumably broken up by now. The “Don Cesareo”of Argentine flag, powered by a diesel engine, (looking suspiciously like a souped-up bus engine). 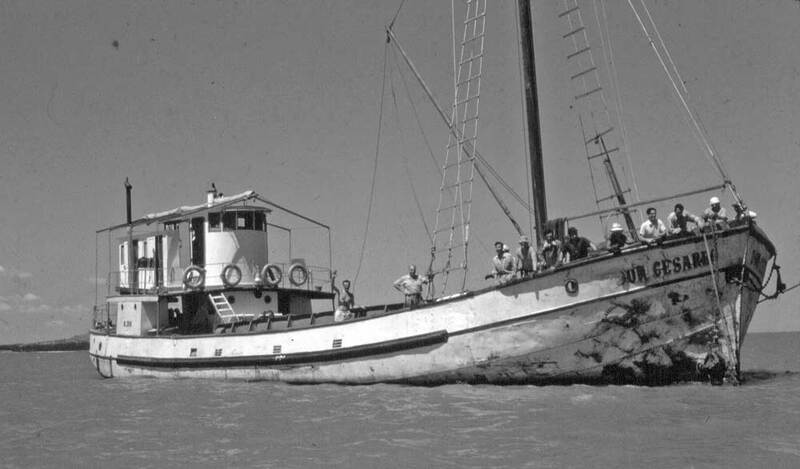 Used mainly in the repair of the cables joining Colonia in Uruguay with Punta Lara in the Argentine. Port, just across the bay. This depot had two large concrete tanks where spare pieces of cable were kept. Normally the tanks were filled with water and drained to load/unload cable. Unloading at the Montevideo port. You will notice the period of the cars appearing in the picture, mostly of European origin. 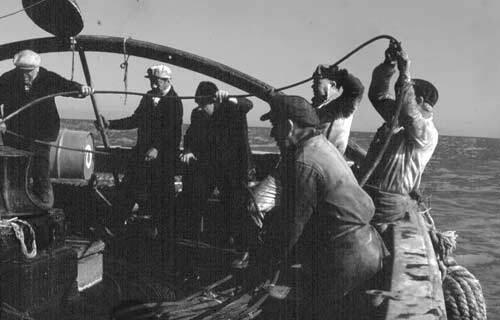 Loading cable on board. The small coil of scrap cable seen aft would indicate that the tug had to come back to port to load more cable during a repair. Gustavo Coll using a sextant to ascertain the position so a Marking Barrel could be streamed.The sextant was used horizontally to determine the angles between three known landmarks (duly shown in the adequate charts) and transferred with a station pointer to the chart, giving the craft’s position. Cable grapnel with extension tubes; this was known as XLRB (Extended Large Round Bottom) with an extra grapnel (known as a Centipede) attached. This combination was used in very muddy bottoms where the cable could be buried something like 6 to 10 feet. A view of the actual underrunning manoeuvre, in this case the Colonia – Punta Lara cable. 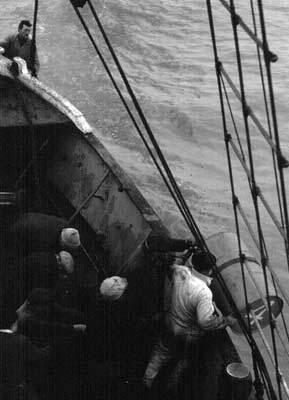 The cable has been hooked , secured with a rope and is about to be underrun. 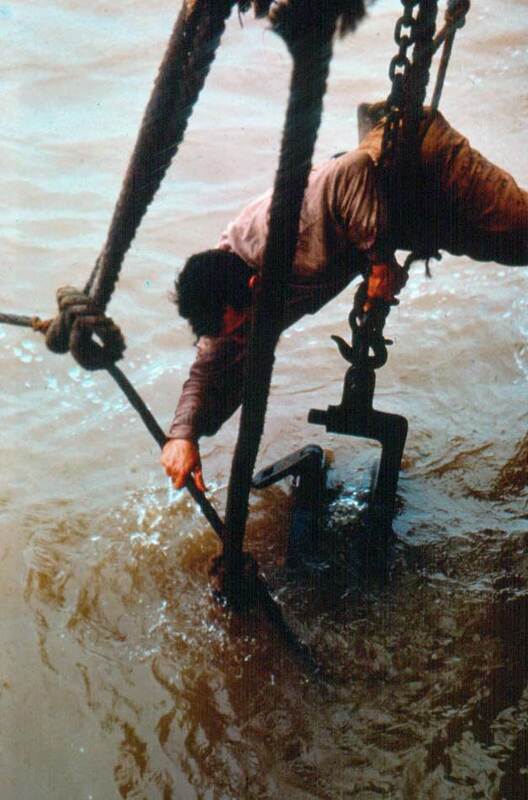 The gang member will fit the cable into the underrunning sheave. The gentleman appearing in the left-hand picture above on another occasion, during the same operation and with rough weather, was nearly completely submerged in the water as the tug’s bow dipped. He was hastily hoisted on board and I noticed that he was talking somewhat funny. I thought it was due to the cold water (it was winter) but no, simply he had lost his false teeth! I will add that the company paid for their replacement. Streaming a Marking Barrel. Normally used to show where the cable was supposed to be, to guide the grappling drives for the cable.